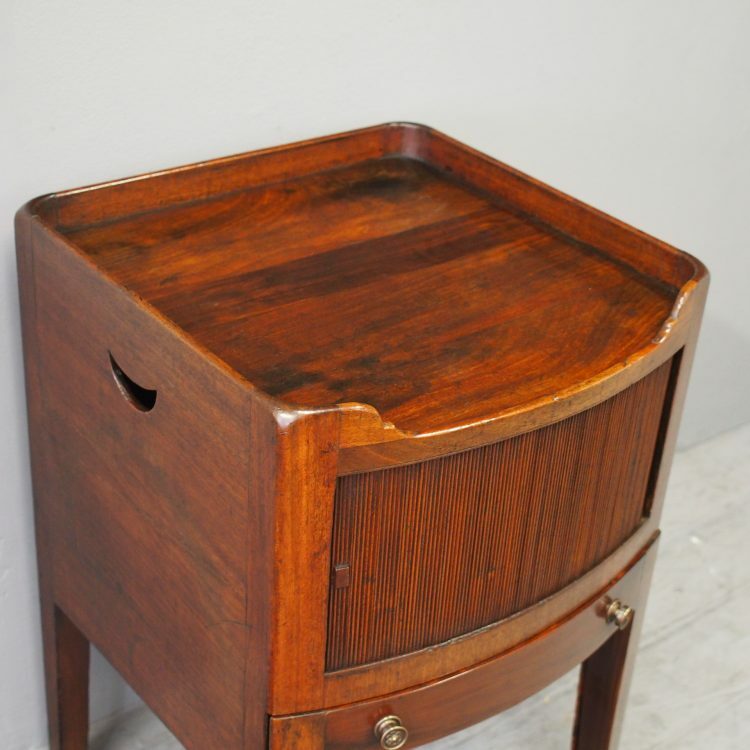 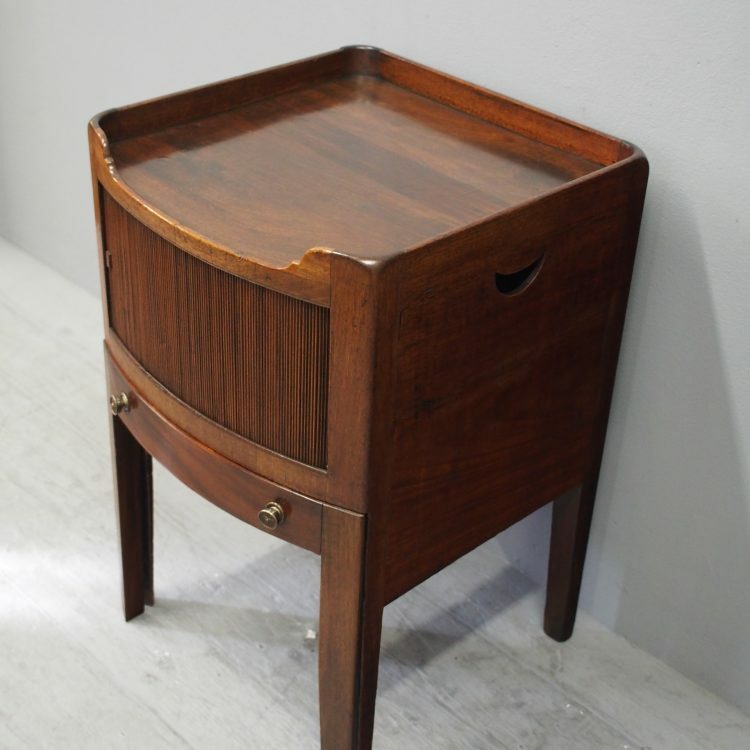 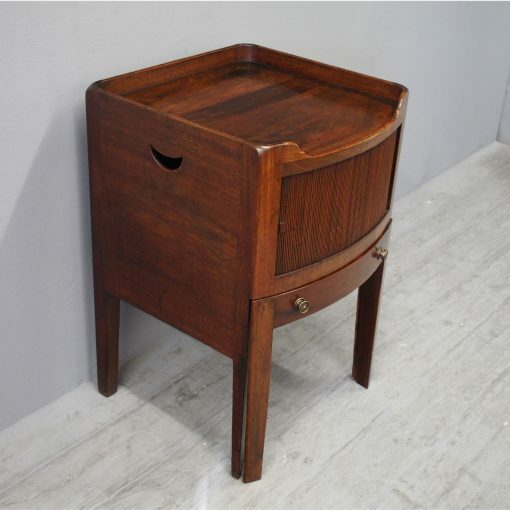 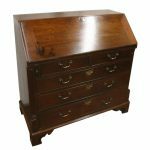 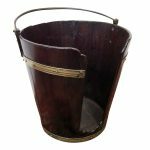 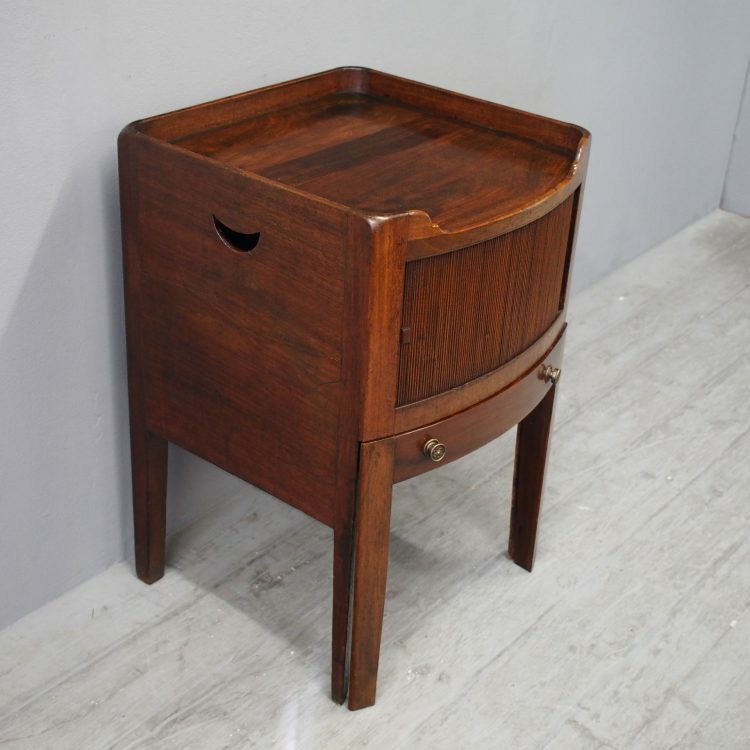 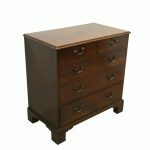 Circa 1790, George III tray top commode in figured Spanish mahogany. 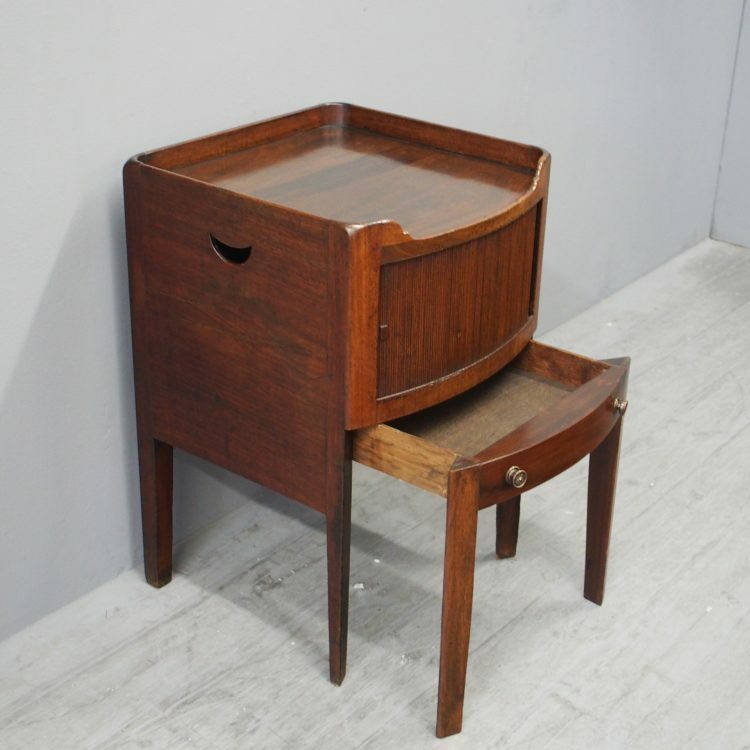 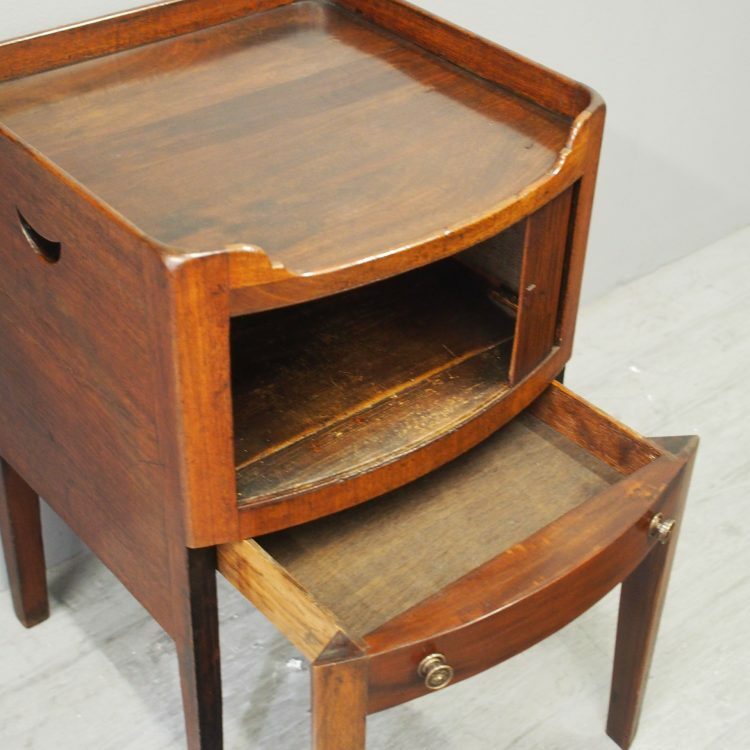 The bow front top with a three-quarter shaped gallery is over a tambour fronted cabinet and a brass handled drawer (adapted). 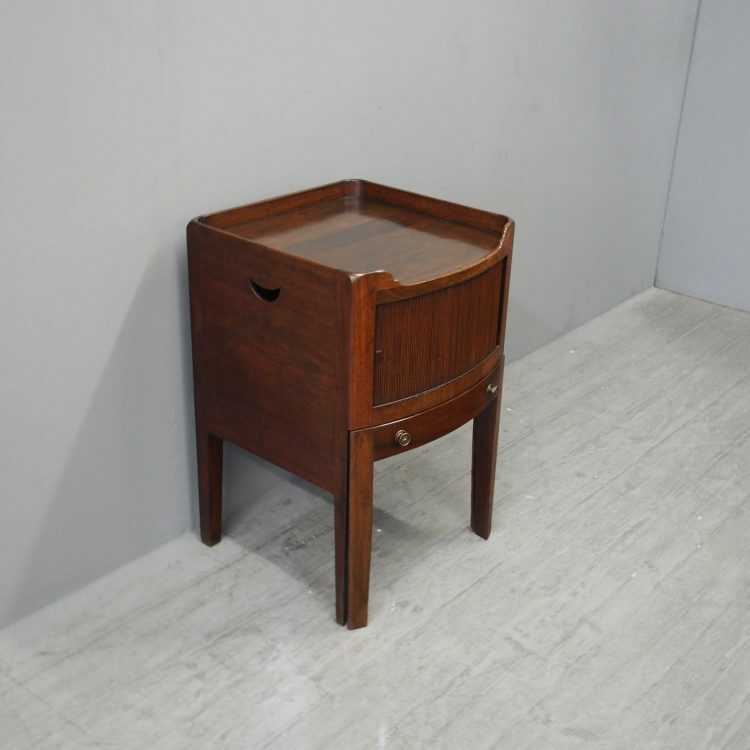 There are split supports to the front and tapering, square rear supports. 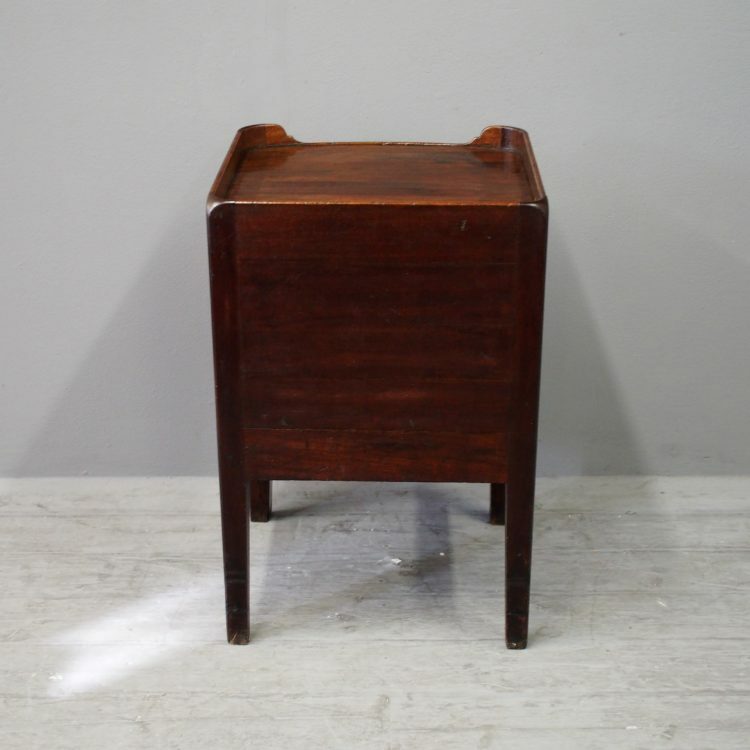 Size 76 cm high x 50 cm wide x 51 cm deep.